Ah, Assassin’s Creed. AC was one of my favorite franchises of the past generation. The “historical” aspects combined with the conspiratorial nature of the stories were able to hold my attention in between the periods of stabbing bad guys. However, I felt burned by AC III. Connor was way nowhere near as enjoyable of a character as Ezio. He had a very shallow view of the world around him and seemed to always be stoic instead of relatable. I fear this was done in order to connect better with the stereotypes of the American Revolution. I didn’t play AC IV when it released due to my feelings for the game before. It took the release of Watch Dogs to make me eager to jump back into the Assassin vs. Templar struggle. Some of the story elements in Watch Dogs hinted at a connection between the universes and led to a couple of fan theories of my own. After playing AC IV, those theories are strengthened. I think that the story of AC IV shines in conjunction with the world of Watch Dogs. The themes of control and surveillance are in both games and I have no clue whether that was intentional. I can appreciate the two franchises being able to stand on their own but I really hope Ubisoft is building up to a grander tale. So, onto the game. I tend to write these reviews stream of conscious so stick with me. AC IV takes one of the best new elements from AC III and make a game out of it. The sailing and ship fighting mechanic in AC IV is one of the best I have played. The upgrade system requires materials that can only be gained in significant amounts from other ships. By making the player fight other ships in order to make their ship more powerful, there is a greater feeling of progression. It felt great to completely destroy ships that used to give me trouble. Combat on land has mainly remained the same between AC III and AC IV. The combat system in the AC games relies not on button mashing but situational awareness. If the player is facing only weak grunts they can attack to their heart’s desire, while officers and heavies require particular modes of engagement. The combat is smooth and works extremely well but can become slightly boring. The rather comedic problem still exists where only a few enemies will attack the player at one time while the rest wait their turn to be cut down. AC Combat would become exceedingly frustrating if all of the enemies engaged the player at once, though. This issue has existed since I entered the franchise and will undoubtedly remain. I played AC IV on my Xbox One and it did look much better than AC III but I don’t know how much of a graphical upgrade exists between the Xbox 360 version and the Xbox One. Compared to the games revealed at E3 this year that are only on the newer systems, AC IV won’t blow your socks off. The game is beautiful nonetheless and portrays the Caribbean with the bright colors that many have seen on postcards. Visually, AC IV passes all of my tests. However, in my opinion graphics are not what makes a great gaming experience. If I was engaged in the story, cared about the characters, and had fun while playing then the game was worth the buy. I thought that the story wasn’t as strong as AC II or Brotherhood but was leagues above AC III. The themes of the power of surveillance and the freedom to try to live a good life away from government intrusion echoed not only Watch Dogs, but our own political situation here in the states. Edward Kenway and his pirate friends were scoundrels but they had a sense of relatable honor driving them so that certain characters being removed from the plot actually brought emotions out of me. 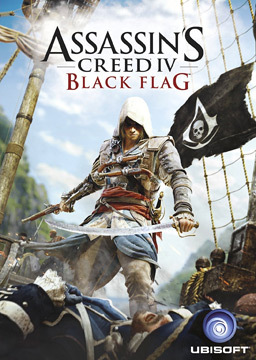 The gameplay was solid and enjoyable, relying more on the satisfying naval combat than the typical Assassin’s Creed hack-and-slash. All around, Assassin’s Creed IV: Black Flag was ore than worth the $60 I paid for it. If you enjoy a game like the Assassin’s Creed franchise has brought to the table in the past but was disappointed by AC III, give this one a try. This was the first AC game that I went out-of-the-way to get 100% synchronization and I felt like the added challenge gave the game more enjoyment even if there were a few optional objectives that started to piss me off (I’m looking at you, rope swing assassination). Sadly, I didn’t focus on the fleet missions until the end of the game so I’m still waiting on that last Abstergo Challenge to finish. I really hope that Ubisoft is making a larger narrative between the Assassin’s Creed and Watch Dog franchises, the reveal of the nature of Juno in AC IV made the idea of the ctOS in Watch Dogs much more grim. Also, it seems like I’ve been really lucky lately to enjoy almost every game I’ve been playing. I’m one act through The Witcher 2 and it seems like the trend is continuing.